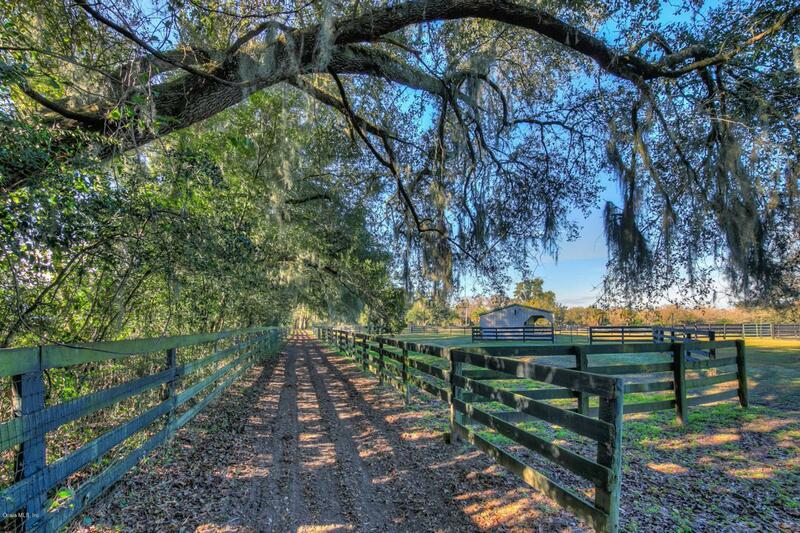 11.52 park like acres within minutes to everything in Ocala!! 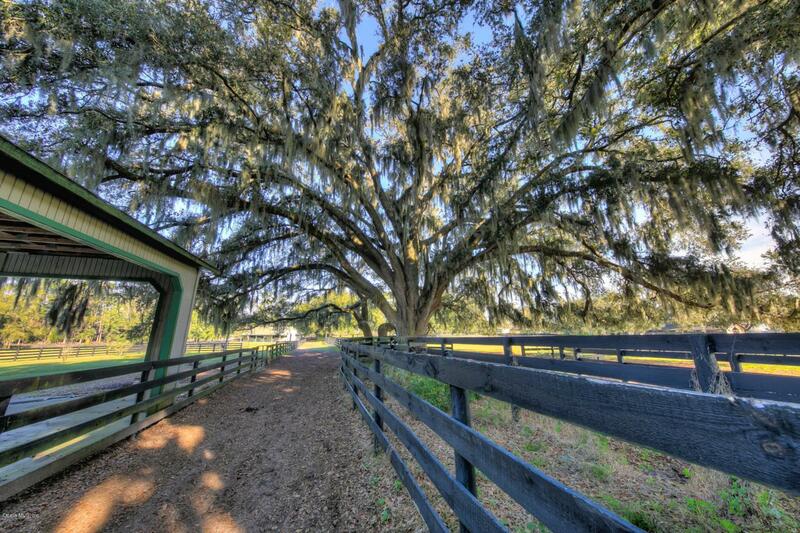 3 bedroom, 2 & 1/2 bath, pool home set in stunningly beautiful scenery, surrounded by other magnificent horse farms. 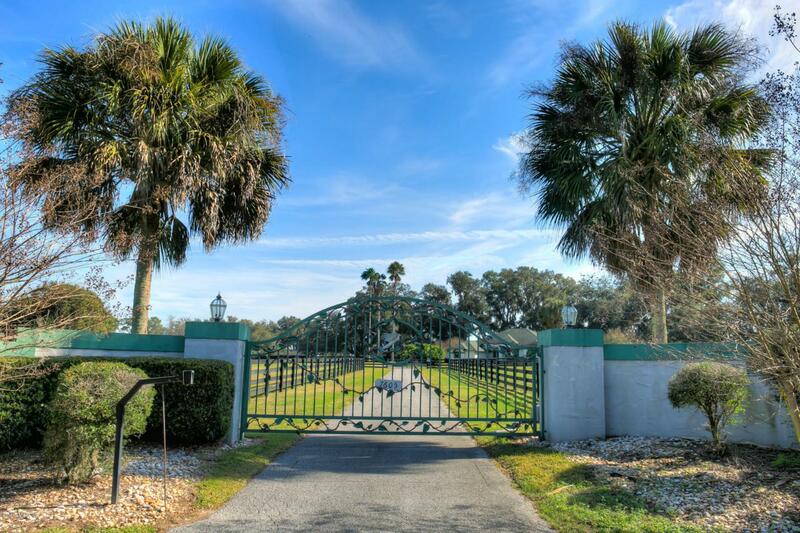 The ornate gated entryway leads you down a paved drive towards the residence with lush gently rolling pastures on either side. 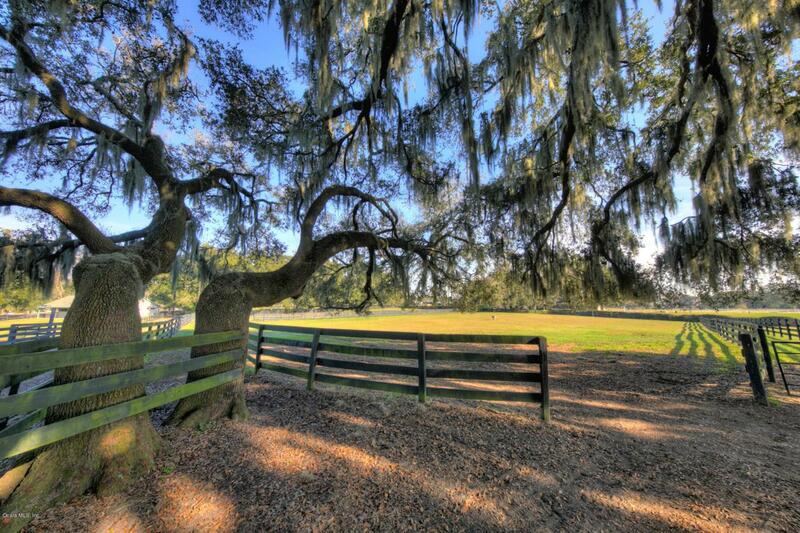 The home is nestled up against massive Live Oaks which make for a beautiful backdrop while adding privacy. The split bedroom open floor plan with tile and volume ceilings throughout boasts a grand stone fireplace. Study with closet can also double as 4th bedroom. The eat in kitchen and family rooms, look out over the spacious covered lanai, with pool, whirlpool, and screen enclosure, all of which are perfect for entertaining. The main barn has a tack room, hot water heater and 8 stalls...plus a round-pen nearby as well. From there ride your horse down the lane past the paddocks to arrive at the vet/farrier's area which doubles as a carport/workshop area and is great for farm equipment storage as well. Continue past the house and you will find a 4 stall shed row barn with grooming area and tack room. There are 9 sizeable pastures in total, with auto waterers in most, that will let your horses be horses. Don't miss out on this incredible property with such a great location!! !